Sealife Sanctuary Oban is located on Scotland’s western coast within one of the most beautiful landscapes in the UK – the pine and spruce forests of Loch Creran. The Sealife Sanctuary Oban first began caring and conserving the Common Seal in 1980 and has secured its place as both a scientific pioneer and a top family attraction. Sealife Sanctuary Oban ticket holders have access to a marine world brimming with uncommon fauna, housed in an impressive full-aspect aquarium. Among its highlights are the common and grey seal that reside in the rescue and rehabilitation centre. Families can see how the seals are getting on and observe the workings of the Seal nursery, where the Sealife team care for numbers of stray, ill or traumatised pups. Furthermore, the family attraction boasts a pair of common seals – Lorne and Lora – that are constantly on hand in the Underwater Seal Observatory. An informative and enjoyable family day out to Sealife Sanctuary Oban takes in tanks with more than 30 species of bewitching waterborne animals, from sharks and octopus, to shrimps, starfish and the salmon that often gather together into a spectacular shoaling ring, not to mention the herring that caper about in ever-spinning circles. The family attraction additionally has a deep pool that contains several types of stingrays, though the majority of the hundreds of exhibits on show originate in the lochs of the West Highlands or the Atlantic Ocean. 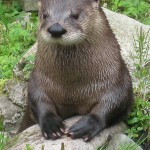 Besides all that, a fascinating Otter sanctuary was unveiled in 2002, offering plenty of subsurface viewing to observe Fingal and his companions in their new home and in the associated diving and shallow pools and flowing water courses. The family attraction pursues its conservation goals also through the seahorse stud farm founded in 2004. The National Seahorse Breeding and Conservation Centre breeds and rears four varieties of seahorse (including the spiny seahorse) in half a dozen big tanks, while small ones grow their brine shrimp feed. Another major draw at the family attraction is the Claws exhibit of Common and Spiny Lobsters, Edible and Horseshoe Crabs, Mantis Shrimps and Giant Japanese Spider Crabs, which can grow up to three metres across from claw to claw – the largest crabs in the world! The facility also offers an informative family day out as talks and feeding sessions by maritime experts give visitors the chance to feed sharks and stingrays, and handle starfish and crabs. Just the ticket for a novel family day out. On top of all that, Sealife Sanctuary Oban boasts sheltered and exterior forest areas, a children’s play zone, trim and nature trails, and a forest walk, all as part of the ticket price. 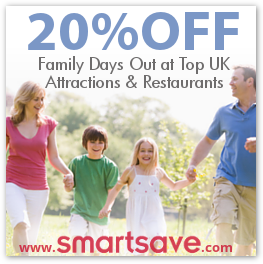 Along with a restaurant and glorious shoreline coffee shop and gift shop, it all adds up to a super family day out. Times: Daily, 10.00 – various, dependent on season.